A collaboration between Carnegie Mellon University’s Humanities Center and the Pittsburgh Cultural Trust, the Pittsburgh Humanities Festival is back in its fourth year. The festival, “Smart Talk About Stuff That Matters,” will run March 22–24. 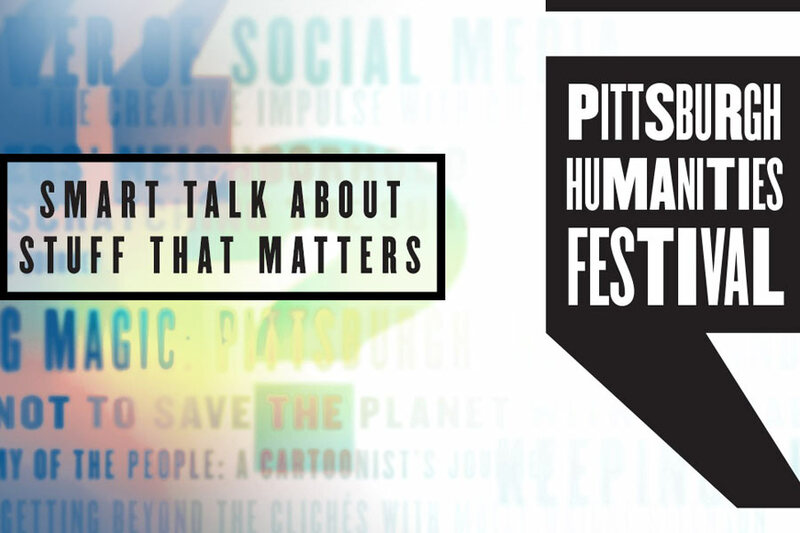 The Pittsburgh Humanities Festival brings together internationally renowned academics, artists and intellectual innovators offering interviews, intimate conversations and select performances focused on art, literature, music, science, policy, politics and more — all in a lively, entertaining and accessible format in the Cultural District. “This fourth edition of the Pittsburgh Humanities Festival brings together some of the most exciting minds in town and in the country, from Molly Wright Steenson on A.I., to Angelique Roche on superheroes, to Kevin Kwan on his novel and film ‘Crazy Rich Asians’ and the power of representation. The Humanities Festival is sure to both stimulate and entertain,” said David Shumway, professor of English in CMU’s Dietrich College of Humanities and Social Sciences and director of the Humanities Center. The festival demonstrates the Humanities Center’s value and interest of the humanities on and off campus. Founded in 2003, the center promotes and supports scholarship and research that actively engages with culture and human production across various disciplines. Featuring 16 events and one partner event, highlights from this year’s festival include a talk with Kevin Kwan, author of “Crazy Rich Asians,” and core conversations with CMU’s Molly Wright Steenson, journalist and poet Eliza Griswold, entertainer Lee Terbosic and more.